For some time now, imports to the United States have far exceeded exports. Containerization has contributed to this imbalance. In fact, shipping goods via containers has radically changed the face of global transportation. The shipping container is an interchangeable unit that can accommodate all shapes and sizes of cargo. Planners can track it and change modes of transportation according to the demands of shippers. But this remarkable state of transport wasn’t developed overnight. The use of shipping containers and containerization are among the greatest achievements in transportation in the last century. The modern-day container dates back to around April 1956, when an American trucking entrepreneur, Malcolm McLean, put 58 trailer vans (later to become containers) aboard an aged and refitted tanker ship. The ship sailed from Newark, New Jersey to Houston, Texas. McLean initially favored the construction of these trailer ships, as they were called, by taking trailers from large trucks and stowing them in a ship's cargo hold. McLean created the idea of using large containers that never open in transit and are transferable on an intermodal basis. A container could go from a ship to a truck to a rail car, as required, and ultimately arrive at its intended destination. They can be transported along with other cargo and managed and tracked in real time. Once the cargo is offloaded, the container may be reused. In fact, prior to McLean’s idea, most cargo was not shipped as one unit, but as loose bulk, or "break bulk." McLean experimentally replaced this method of stowage with the trailer ship and roll-on, roll-off trucks with trailers. However, there were problems as the stowage was not easy to manage. Stevedores and transport loaders weren’t used to moving truck trailers, but rather sacks of coffee, fertilizer, and liquid cargo as break bulk. Additionally, the bulky truck trailers didn't stow very well, and it resulted in a large waste of space in the cargo area. McLean, in response, modified his method to move the container only and not the truck chassis. This was how the “container ship” got its name. While this happened in the late 1950s, we can look back and see how much progress has been made as we rely heavily on imports, as well as exports, to meet our strong appetite for so many goods. Containerization has given global trade a new dimension, a new importance, and a new wellbeing to our world. Containers remain the basic unit of international trade, and for good reason. They can be interchanged between various modes of transport. They can be carefully monitored, since their whereabouts can be tracked and traced in real time. Containers can also be secured to protect the cargo from pilferage, weather, and other harsh conditions. This past year or so is testament to the success of not only containerization but globalization. Imports have maintained a healthy level. Goods shipped from China accounted for about 46% of all container imports to the United States. Then the Trump administration announced tariffs of 25% on Chinese goods. At the port of Long Beach, California, container imports rose about 2.3% over the previous year for a total of about 770,000-ton equivalent units. Containerization is helping create a healthy transportation market. One segment within containerization is the transport of refrigerated cargo aboard refrigerated containers known as reefers. Refrigerated containers keep food fresh, typically more than a month. Through reefer monitoring and measuring, distributors can safely send everything from shellfish, pharmaceuticals, and medicines to anywhere in the world and maintain the cargo quality within the container. Measurements such as temperature and humidity within the container are available to supply chain managers from any platform on which they monitor such parameters. A reefer, or refrigerated container, can keep perishables fresh for long periods of time. The world has become more reliant on perishables. Refrigerated cargo has experienced an uptick in overall demand. 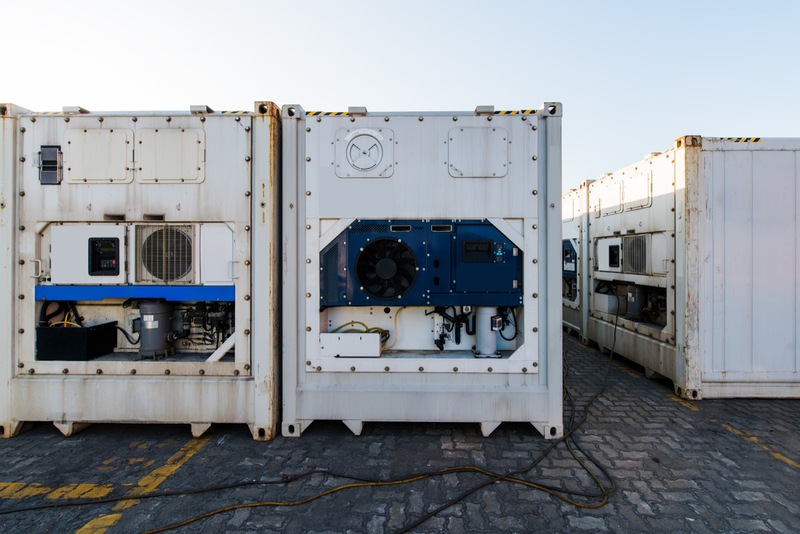 More refrigerated containers and cold storage facilities are needed to respond to this change. Such facilities are finite and capacity and are experiencing a surge in demand for their space. Companies and localities are accommodating the construction of new cold-storage facilities that can handle such cargoes. Who can argue with that statement?